Visit Ottawa, Ontario - Canada. A world class city with a small town feel. 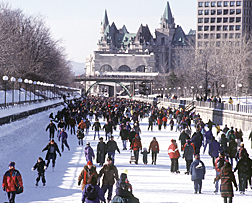 Skating on the Rideau Canal – Ottawa. One of an Ottawa winters happy moments.